Shortly after the initial excitement of launching has worn off, fear of failure will set in hard. This usually coincides with the Mid-Launch Lull in sales. In this video I explain why sales take a nose-dive after launch day, and what you can do to recover. In a rush? Text highlights are below. I've had ring-side seats for hundreds of launches - either supporting friends, working with my Worditude VIPs or as the copywriter of the sales page. 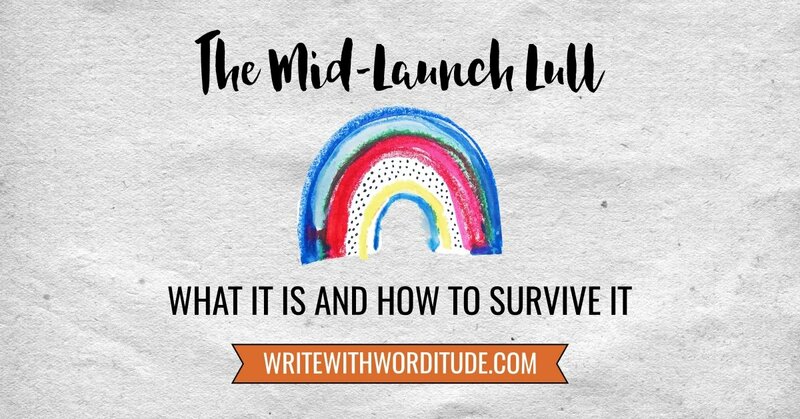 I can assure you that the Mid-Launch Lull is a real phenomenon. I'm talking mostly about online products, but it works with physical products too, anything where you launch the product/offer and then the cart/doors are open for a few days and then you close the cart/doors. The pattern that I typically see happen is the doors open an on Day One, there's a really encouraging flurry of people who buy. Sometimes the business owner gets a bit carried away, imagining that sales will continue at this stellar pace, and when they do the math, the forecast an unbelievable successful launch period (I have done this). And then around Day Two or Day Three things start to get really quiet and they might not make any sales at all. The business owner starts to despair. They wonder what they've done wrong and worry they'll never make another sale because they're having a sucky launch. And then on the last day, they double their sales. What happens is your most eager beavers, the people that have been really excited to buy from you, buy straight away. Anyone who doesn't buy on that day one still needs convincing. And time alone is not what's going to convince them. As your launch moves from Day One to Day Two nothing's really changed. If they didn't buy on Day One, why would they buy on Day Two? When we get to the last day, something has changed, because suddenly they realize that this is their last chance to buy before it goes away. Time-pressure kicks-in and will help you make more sales. Here's how you to keep selling even during that Mid-Launch Lull. A may have mentioned this a few times before, but your mindset is important. The first time you experience a Mid-Launch Lull, you may feel like a total failure, and start searching for local j-o-b-s.
Now is not the time for despair (probably there's never a good time to despair, so maybe just try to avoid despair at all times as it's neither helpful nor productive). Get emotional support from the right people. That's not your friends and family in real life, because, although they love you, they really don't understand how this all works, and they'll only say the wrong thing. Privately message or privately chat to a business-friend you trust. However tempting it is to share your current experience in Facebook groups or on your private social media - just don't do it. Potential clients, and future contacts are watching. These people are full of valuable insights - but you must prioritize your relationship with them - don't just pump for information and run. a) What outcome are they seeking by working with you? b) Was there anything that made them hesitate in their decision to work with you? c) Are they comfortable with being tagged into social media posts promoting or relating to this product/program? i) Share on social media (or to your email list) that you're excited to work with (tag their name) who just joined/bought this product, to achieve this outcome. And make sure you include something positive about the person or their business, so they'll want to share that post because it's showing them in a good light. ii) Make any adjustments to your sales page or marketing material that their feedback suggests. iii) Ask your new purchaser if there is anything you can do to help them right now. You want them to come away from this first interaction with a positive experience and excited and they're still excited to work with you. If you don't have an FAQs section, add one. Even if all you're doing is restating information already clearly laid out on the sales page, an FAQ section can help you make more sales. Skim readers who aren't going to read the block of content at the top, they're just going to go straight for the FAQs. And some people will understand and absorb the info more readily if it's in a Question and Answer format. If you do have an FAQ section, take the best bits and use them as the base of a mid-launch email. You're reminding them that the cart is open, but instead of adding any kind of pressure or encouraging them to buy, what you're doing is saying, these questions have come up, so here are the answers (or so I've added an FAQ section). Then invite them to reply with any other questions they have. It's really important to open that dialogue with your audience because very rarely actually someone who's got a question, even if they want to buy it and they've got a question, people feel so intimidated about sending an email and saying, I don't understand how this works. Nobody likes to say, ‘I don't understand this', or ‘I have a question' or ‘I don't know, I'm confused'. So if someone is brave enough to come to you and ask the question, the chances are there are five to 10 people lining up behind them that had exactly the same question, but they didn't ask you. Even if just one person raises the question, look at your materials and make sure you've made that information clear enough. First of all, I just want to give my thoughts on bonuses. Very often I see bonuses that are taken away during the launch period. So if you buy on day one, two, three, you get all three bonuses and then they're going away by day four. To me, that makes no sense. Once those bonuses are gone, your audience will just want your launch to be over, so they're not reminded of the bonuses that got away. A good way to use bonuses is to start with none on your sales page, trust that your product is strong enough to stand on its own and those eager beavers who had been waiting for the cart to be open are going to buy whether there are bonuses now or not. And then add in bonuses to get people on board mid-launch. The people who bought early, they'll get those bonuses too, so nobody's missing out and everybody who pays the same price is getting exactly the same products at the end. You might want to do like three bonuses and drip release them during the launch period, but that is going to take a serious level of preparation and stamina. The objection overcoming bonus is to tackle that objection head-on. You won't be able to hit them all, but you can create a bonus for the most common push-back. For example, if you're releasing a program for women struggling with infertility, a common objection might be ‘will this work if I have Polycystic Ovarian Syndrome?' You could create a bonus module/ebook for women with a PCOS diagnosis giving them extra value. This shows that not only have you ensured the program will work for them, but you've created extra materials especially to help them get the most out of the program. You can prepare this before you launch, and release the bonus mid-launch, giving you something positive to focus on and giving your audience another reason to buy. 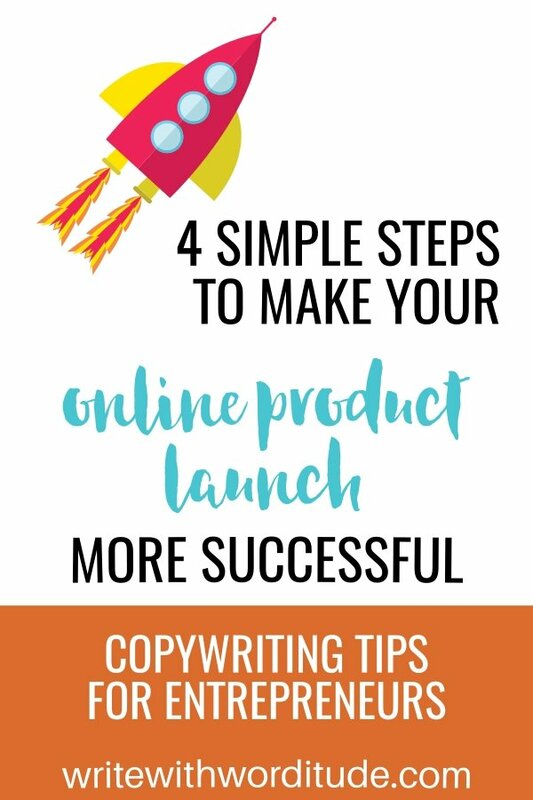 This free workbook and video will help you prep for a successful online launch. Get them now. No email required.